A luxury pearl bracelet of very beautiful pink Freshwater pearls, selected for their high lustre and available with a choice of an 18 carat white or yellow gold clasp. These Freshwater pearls originate from China, where they are cultured in mussels in lakes and streams. 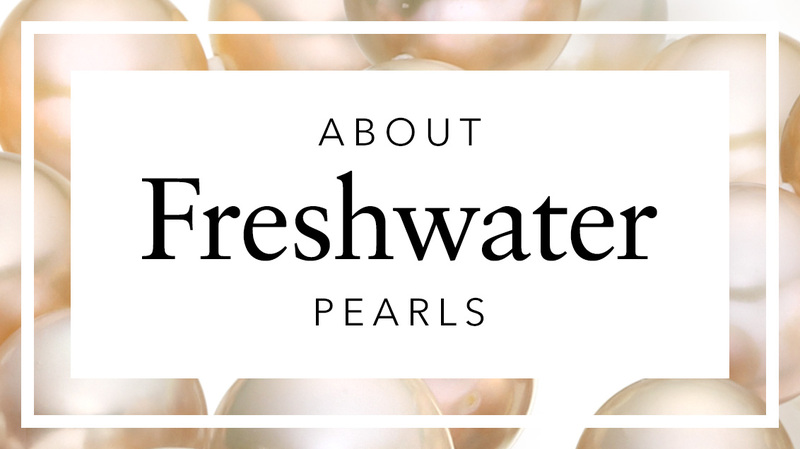 Unlike saltwater cultured pearls, these freshwater pearls do not have a bead nucleus and are made from solid nacre, the mother-of-pearl material that gives a pearl its unique qualities. 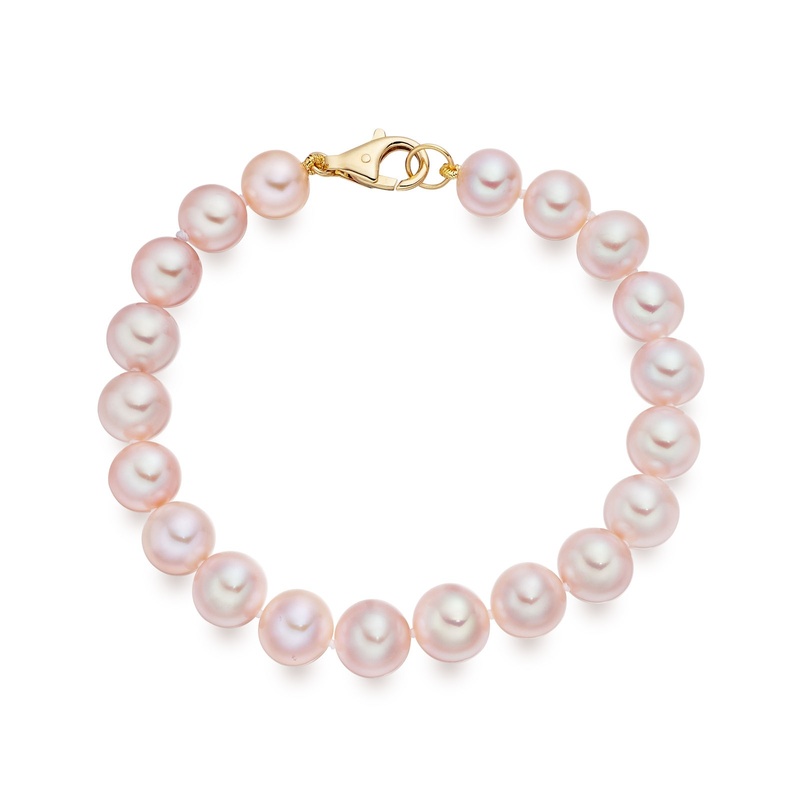 The pearls were chosen by Winterson for their quality, natural pink colour and reflective shine. The bracelet is made with 8.5-9.5mm diameter pearls, which have a more contemporary and luxurious style than smaller pearls. Each 20cm length bracelet is strung by hand, with knots between each pearl for safety. 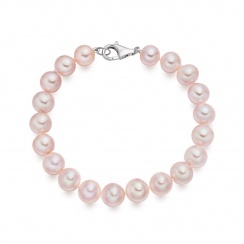 This bracelet can be easily matched with a pink freshwater pearl necklace.